The last of the fire crews left the scene Wednesday where a brush fire that broke out Aug. 19 burned 10 acres in the 25000 block of 188th Avenue Southeast in Covington. 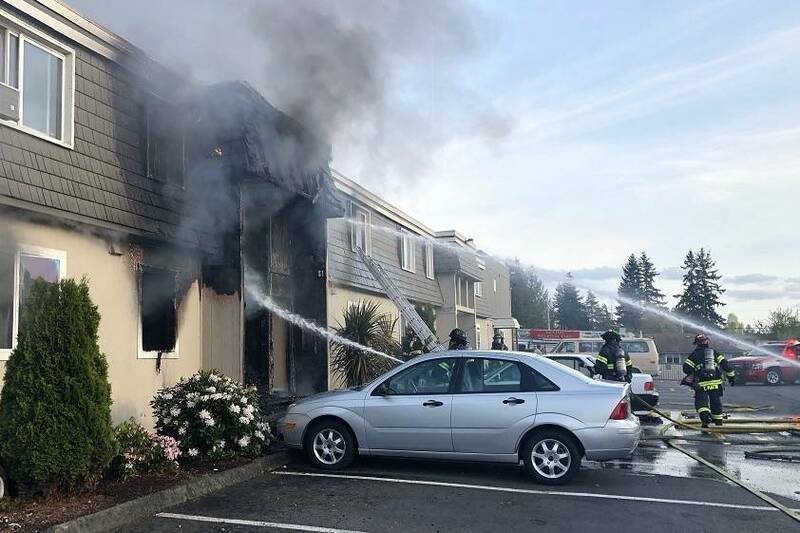 No structures were damaged by the fire, though several homes were potentially endangered by the flames, according to a Puget Sound Fire media release. A westerly wind helped keep the fire from the homes. Puget Sound RFA and Maple Valley firefighters were first dispatched to the area at about 4 p.m. Aug. 19. Other departments were brought in as the fire quickly consumed the dry grasses, shrubs,and trees near Highway 18. The highway was closed in the westbound direction for a period of time on that day to allow fire apparatus to operate safely. The fire was large enough that a helicopter with a water bucket was brought in to combat the flames later in the afternoon. By Aug. 20, firefighter hand crews, trained to fight wildfires, were requested from around the region. The fire was considered fully extinguished the evening of Aug. 22 and all the crews released from the scene. The cause of the fire was smoldering material from a “bee smoker” that ignited the dry grasses. The fire is considered accidental. Agencies that assisted Puget Sound Fire included Tukwila FD Valley RFA, Renton RFA, Gig Harbor FD, Maple Valley FD, Duvall FD, King County District 44, Eastside FD, North Highline FD, Pierce County District 16, Burien FD, Pierce County District 13,Orting Valley FD, N. Kitsap FD, King County Medic One and Zone 3 Fire Explorers.